More of our animal identity confusion. 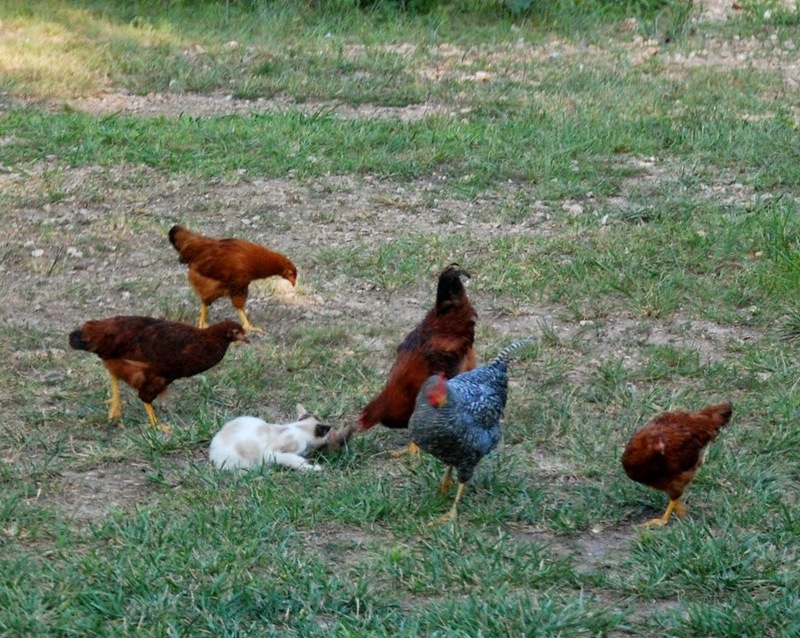 I won't even tell you what the cat and chickens were fighting over, because it's against my TMI policy. You're welcome. 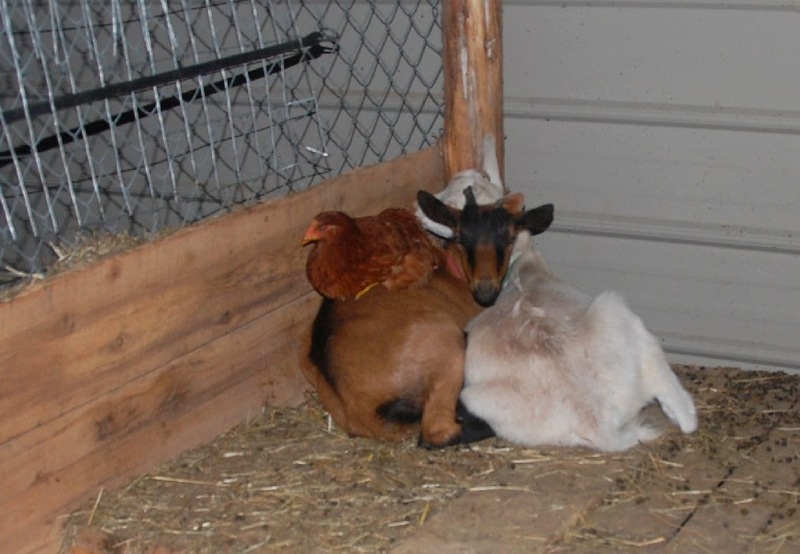 They seem to be getting along just fine though, since tonight I found the cat on the bottom perch in the chicken coop. 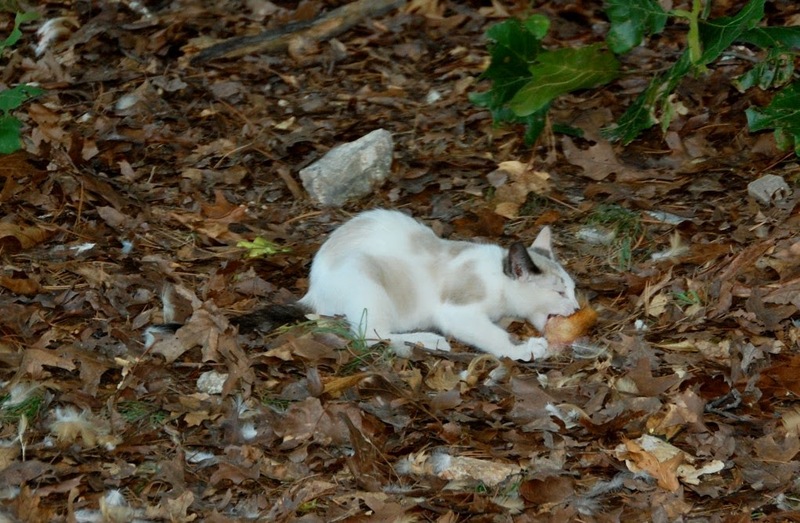 Fill in the blank: The missing chicken was finally found sleeping _____. If you guessed "on the goat" you are correct! It was dark and we were a chicken short, but couldn't find it anywhere. Then we heard it in the goat pen, but couldn't see it because it blended into Annie's back. 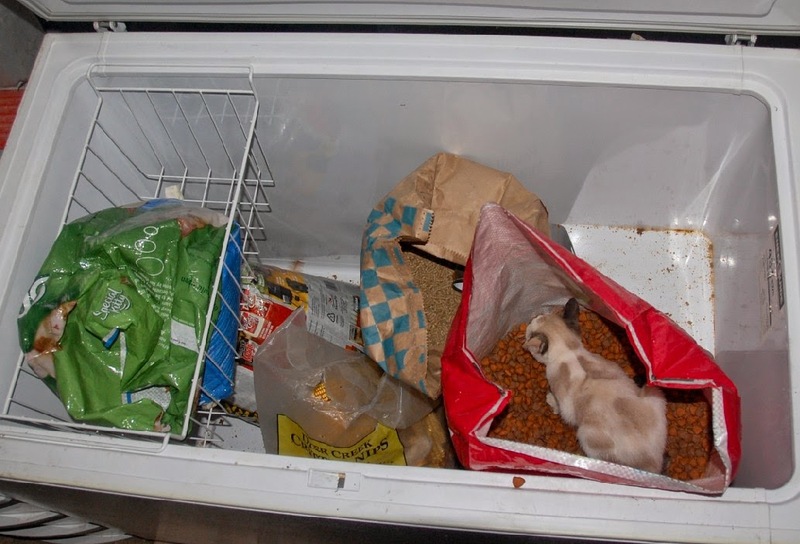 The cat got into the dog food today. Literally INTO it. And this is how she got her name Walker Kitty. She's so zombie-ish sometimes with her meals, it's disturbing.